Mets’ Nippers is a fun and healthy activity for boys and girls aged between 6 and 15. The primary objectives of our Junior Activities program are to develop surf awareness, beach and water safety, as well as sporting and team skills. It is a stepping stone for development, provides opportunities for all ages, and encourages a sense of fulfilment. As a volunteer organisation, Metropolitan Caloundra SLSC is run by its members. 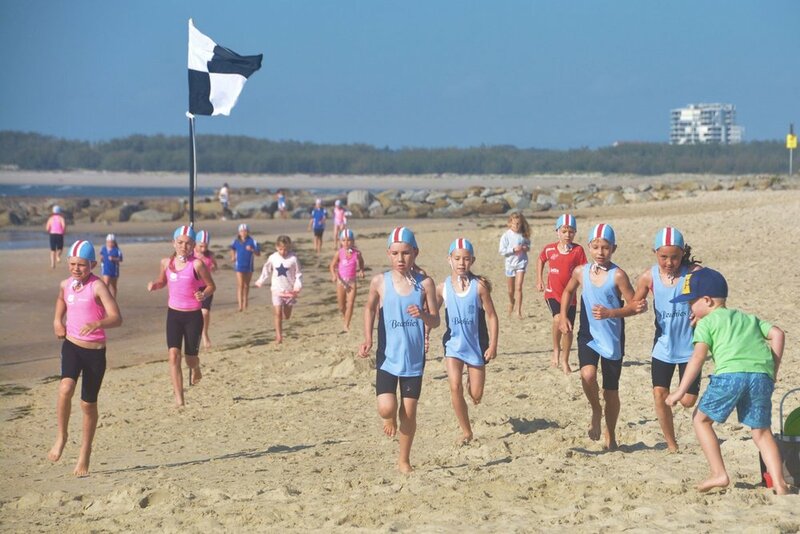 The Junior Activities Committee encourages parents to participate and help make Nippers a success for the kids, be it at the beach on Sunday mornings, at carnivals, or around the Club. For those interested in joining the Mets’ Nippers family, further information can be accessed via the Nipper Handbook. For current members, keep up to date with the latest nipper news by joining Team App (search for Met Caloundra SLSC Nippers). Members are also encouraged to join our private Facebook group (search for Metropolitan Caloundra SLSC – Nipper Group) to access our chat room. Nipper memberships for the 2017/18 season are now CLOSED. For those interested in joining, the next season commences in September 2018. Click here for all Forms and Information.